RIO DE JANEIRO- Different from last year’s World Cup, an event which attracted widespread protests and was criticized by slow stadium construction, organizers of the 2016 Rio Olympics that start within year from now are facing new tricky issues, the water pollution. 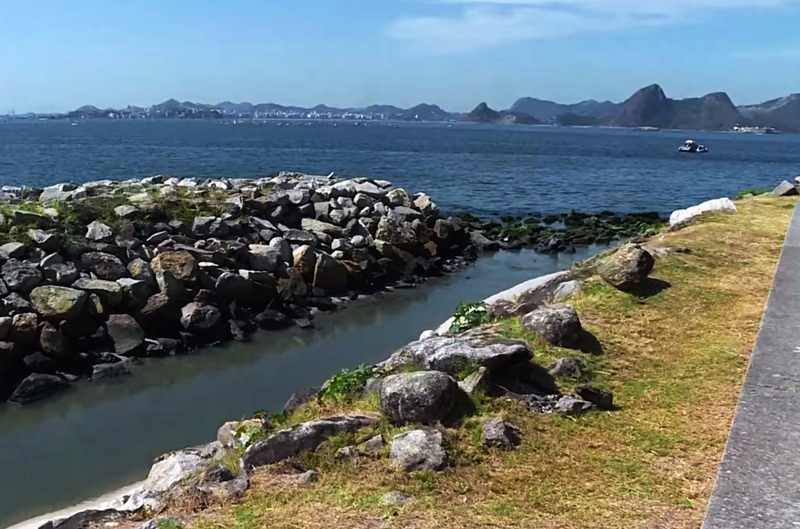 The issue that has most attracted the world’s attention so far is the cleanup work at Guanabara bay, which will host Olympic sailing, and the Rodrigo de Freitas lake, home to rowing and canoeing. The press conferences held by the Rio Organizing Committee were always dominated by questions about Rio’s sewage pollution problem. Media reports have claimed that both venues remain littered with rubbish and sewage, prompting concerns from health experts about possible risks to athletes. Recently an independent analysis of water quality also showed high level of viruses and bacteria from the sewage in all Olympic water venues. In order to fully test the venue, a second sailing test event was held last week. Throughout the event there have been worries about the levels of bacteria and viruses in the water, as well as rubbish. Athletes started to take extra vitamin to increase the immune capability after being afraid of the reported bacteria and viruses. Besides the bacteria and viruses, athlete also complained about the floating rubbish and sewage, which affected their boats’ normal sailing and even the fairness of the game. Peter Sowrey, chief of the International Sailing Federation, said that the event had gone “pretty well” operationally, but added that the federation would consider moving events into the Atlantic if the water cleanliness does not reach an acceptable level. His comments came after one of the courses in Guanabara Bay was closed due to floating debris. Despite of that, Rio’s mayor Eduardo Paes still played down concerns about pollution at water venues. “There were no problems at [last week’s] sailing test event, nor were there any issues with the swimming marathon,” Paes said. “People are talking about water quality but during the Olympics it won’t be an issue. The Rio Organizing Committee has repeatedly emphasized the health of athletes as their top priority, saying they will spare no effort to make sure the water quality meet the world standard and Brazilian law. Leonardo Gryner, deputy CEO of the Rio Organizing Committee, told Xinhua that the original target of reducing pollution by 80 percent is on track. “The situation we had by the time we bid in 2009, roughly 12-13% of the sewage thrown into the bay was treated. Now it’s over 50%. In 2016, we promise with 80% of treatment,” he said. He admitted that two major challenges facing the sailing event, one is the floating deribs, the other is people continuing throwing wastes into the bay. To solve them, the government is putting eco barrier to stop wastes entering the bay and eco boats to collect floating deribs. “We never said the Guanabara will be clean [before the Olympics]. It’s a huge bay. We have challenges and problems here that will take 10 years or more to fix them all,” he added.